A year ago today, 52 per cent of the electorate in the UK voted for the country to leave the European Union. Last Monday, the formal ‘withdrawal’ negotiations kicked off in Brussels. This first session was described by Michel Barnier, the European Commission’s chief negotiator, as “useful to start off on the right foot”. Agreement was reached on dates, on organisation and on priorities for the negotiation. The negotiation will basically be divided into two parts – the first will cover the most important and pressing aspects concerning the withdrawal of the UK from the EU whereas the second will seek to shape the future relationship between the two sides once Brexit has happened. Citizens’ rights, the single financial settlement and other ‘separation issues’ will be tackled in the first phase with one week of negotiations taking place each month. The financial settlement includes the so-called ‘Brexit bill’ – what the UK will have to pay the EU. Contrary to how it is often presented, the financial settlement is not a fine or penalty imposed on the UK because it wants to leave but represents what the UK actually owes the EU. The ‘Brexit bill’ is about the UK respecting in full the financial obligations resulting from the whole period of its EU membership. It was also agreed that a dialogue on Ireland would start, aimed at protecting the Good Friday agreement and the maintenance of the Common Travel Area. Concluding after the first session of negotiations, Barnier said his state of mind was similar to that of Jean Monnet who, when once asked whether he was optimistic or pessimistic, replied “neither one nor the other – I am determined”. Since the UK electorate voted for Brexit a year ago, the political context in the UK itself and in other parts of Europe and the world have changed significantly. The first casualty of the vote was the very person who pushed for it – David Cameron. He was succeeded as prime minister by Theresa May who seemed to adopt a hard line, possibly to justify the fact that she had gone from being a pro-Remain politician to one who was aspiring to lead the country out of the EU and reassert its role as a major global player. To me, she sounded at times like someone who was almost going overboard to convince herself and her compatriots that she had converted to the cause of the Brexiteers. May also did what she initially had said she would not do – call a snap election. Having a small majority in the House of Commons and sensing that the tide in the country was in her favour given that opinion polls were predicting a landslide victory for the Conservative Party, she went to the polls three years before they were due only to lose her absolute majority. She has formed a minority government which is dependent on the support of the 10 Northern Irish Democratic Unionist Party MPs. On Wednesday, Queen Elizabeth II delivered her speech at the state opening of Parliament in which she outlined the government’s legislative programme for the next two years. 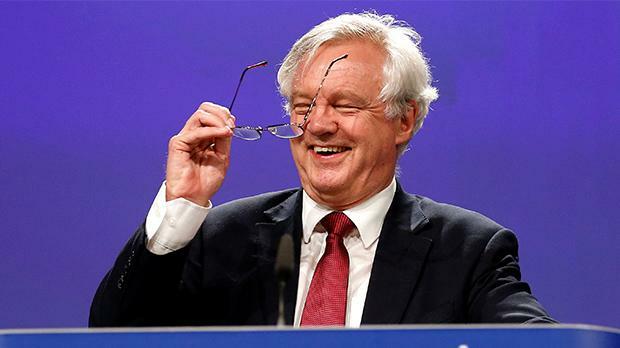 Normally, it would be a one-year programme, however, the minority government felt that a two-year period would facilitate Parliament’s ability to properly scrutinise the Brexit negotiations. The opposition parties, on the other hand, claim that May fears that once the negotiations are underway and the going gets tough, she would not be able to pass another Queen’s speech in a year’s time. The vote on the Queen’s speech is expected to take place on Thursday and it amounts to a vote of confidence (or no confidence) in the government. Irrespective of whether the minority government will survive, the pressure for a ‘softer’ Brexit than that which May was pushing for prior to June 8 will increase. DUP leader Arlene Foster said the UK should retain as many of the benefits of the Single Market as possible and avoid a hard border between Northern Ireland and the Republic of Ireland. The Labour Party, which defied all odds and increased its share of the vote, obtaining 40 per cent of the vote (the Conservatives won 42.4 per cent), wants a much closer relationship with the EU than May did before June 8. Labour has also rejected the ‘no deal for Britain is better than a bad deal for Britain’ option that had been stated by May in January, meaning that it would not contemplate walking out of the negotiations with the EU. The negotiations are now underway. The treaty on European Union states they should be concluded within two years from the moment Article 50 was triggered, that is, by March 29, 2019. Should no agreement be reached, on that day, the EU treaties would simply stop applying to the UK unless the Council of the Union unanimously agrees to extend the period until an agreement may be reached. Any agreement must be approved by a simple majority vote in the European Parliament (including MEPs from the UK) and concluded by the council acting by qualified majority. It would also be necessary for the UK itself to ratify the agreement in terms of its own constitutional norms. On the other side of the channel there have also recently been elections. In May, Emanuel Macron won the French presidency after having campaigning on a strong pro-EU platform. Parliamentary elections held in France last Sunday have resulted in Macron’s new party commanding a comfortable majority in the national assembly. Meeting May in Paris on June 13, Macron said when asked about the possibility for the UK to remain in the EU, that while respecting the sovereign decision of the British people, “the door remains open, always open until the Brexit negotiations come to an end”. Much has occurred since the Brexit vote and a lot more may happen before the end of the negotiations. However, the EU seems to be in better shape than it was a year ago. This does not mean that all problems have been solved. However, one thing is certain – the much feared domino effect of the UK vote does not seem to have occurred and the demise of the EU, predicted by the likes of Donald Trump, Nigel Farage and Marine Le Pen appears destined to remain mere wishful thinking, at least for now.